Joseph I. Rosenberg is a Forensic Economist, Financial Consultant/Advisor, Circuit Court-Approved Mediator, and Collaborative Professional with over 30 years of experience in finance and economics. He holds the designations of Chartered Financial Analyst (CFA) and Certified Divorce Financial Analyst (CDFA). As a Forensic Economist, Mr. Rosenberg provides economic loss appraisals to support litigation in personal injury, wrongful death and wrongful termination cases within Maryland, the District of Columbia, New Jersey and Pennsylvania. These include calculating the present value of damage awards for loss of earning capacity, loss of household services, and loss of various employee benefits, as appropriate. Mr. Rosenberg is a recognized expert in applying discount rate methodologies to calculate damage awards for loss of earning capacity, which may be a factor in divorce proceedings, as well as in its more conventional usage in tort litigation. He has been twice published in the peer-reviewed Journal of Forensic Economics on related topics related. In addition, Mr. Rosenberg has been invited on a number of occasions to participate on panels of expert economists addressing similar topics to his published articles. 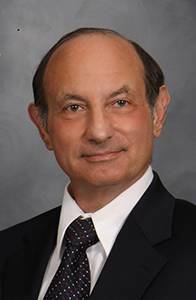 In addition to forensic economics, Mr. Rosenberg is a court-approved mediator in Montgomery, Frederick and Howard Counties, and offers his services both as a mediator and collaborative practitioner in the areas of divorce/family law and other civil/commercial disputes. In collaborative divorce cases, he participates as a Financial Neutral. In that capacity, he assists couples with near and long term budgeting, evaluating options for separating their finances and possible spousal maintenance, and ultimately achieving a mutually-beneficial marital property settlement. Mr. Rosenberg also provides financial planning & investment advisory services. Prior to 2008, Mr. Rosenberg was at Fannie Mae for 20 years in the Capital Markets Strategy Division (and its predecessors), where he demonstrated a strong track record in portfolio management and financial data systems used to forecast income and to manage portfolio risk. Mr. Rosenberg is also the current Chairman of the Investment Committee of the Jewish Social Service Agency of Washington, having served on the committee since 1997. In this volunteer position, he is responsible for managing the agency’s Endowment Fund, as well as assisting the CFO in managing its Pension Fund, including assisting in its conversion from a Defined Benefit plan to a Defined Contribution/403-b plan. Mr. Rosenberg has an MBA in Finance, Accounting and Statistics from University of Chicago and an MA in Economics from Virginia Polytechnic Institute. Since 1999, he has held the Chartered Financial Analyst (CFA) designation, the premier designation worldwide for institutional money managers. In 2010 and 2012 he successfully completed, respectively, 21 hours of Collaborative Divorce Training and 40-hours of Divorce Mediation Training. In January 2013 he was awarded the Certified Divorce Financial Analyst (CDFA) designation.